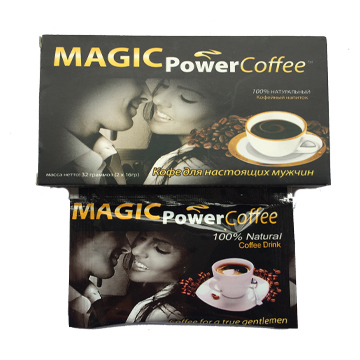 Instant coffee, Barbary Wolfberry Fruit, Epimedium Herb, American Ginseng, Xylitol, Syrup, Hydrogenated Vegetable Oil, Protein, Anti-caking Agent, Vitamin A, B1,B6, B12, C, DE, K.
Magic power coffee male enhancement Directions:Mix one 16g package with 60z-80z of hot water. Disclaimer: Children under the age of 18, pregnant women, heart disease suffers and people with diabetes. Storage:store in a cool and dry place. (1) our price includes shipping charge to your country ,no other fee ,no tax. 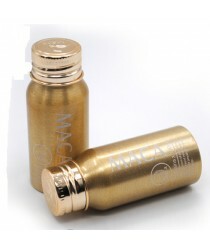 (2) we will according to your real quantity and shipping address give you a discount. (3) we accept paypal and we do drop shipping. (4) we accept the big or small order and we have no MOQ.